Buying a car can be tricky. There are a couple of decisions that you must make before you arrive at the car of your dreams. Not only do you have to pick the make and model of your car, but you also have to decide if what you want is a new car or a used one. On the surface, it might seem like an economically wise decision to buy used over new, as used cars tend to cost less and depreciate slower. But things are not that cut and dry. Both new and used cars come with unique advantages and disadvantages. The decision you make will make a big difference in your finance over the next couple of years. Buying a new car comes with a lot of excitement, mainly because you are buying a new model which has no previous damage or wear to worry about. This will give you the assurance that you are investing in something that would offer you years of reliable experience with no headache. For a new car, all you need to focus on will be maintenance. New cars also come with Original Equipment Manufacturer (OEM) warranties, which provides peace of mind to owners so they won’t be held responsible for major repairs or maintenance any time soon. New cars also typically come with the latest technology, this simply means that you will find cars with better gas mileage, lower emissions, latest interior amenities, and advanced safety systems. Some of the latest cars allow users to hook up their phone and other devices with much ease. Aside from that, buying a new car gives you the opportunity to order custom, providing you with personalized options that you may not find in pre-owned inventories. 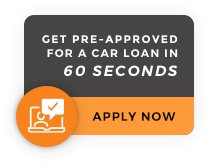 When buying a new car the dealer may also offer you financing at a low-interest rate which would reduce the interest you have to pay over the course of the loan. The major disadvantage of buying a new car is its rapid depreciation. Immediately after you drive a car off the lot of the dealership you begin to lose money on it. A new car depreciates faster in the first two to three years. To put this into context, driving a new car around means throwing away thousands of dollars per mile. So the only way to make it a viable investment is to keep the vehicle for a minimum of 5 years to ensure you’re getting your value after the first few years of depreciation take affect. Buying used or pre-owned cars come with a lot of benefits, the best of which is its lower price. If you don’t have much to spare or you wish to save a bit of money, then buying a used car is your best option. Another major advantage of buying a used car is that you transfer the major depreciation on the car to someone else. Cars depreciate faster in their first two to three years. While it is impossible to sell a new car which you have used for just a year for the same price that you bought it, it is still possible to sell a used car for the same amount you paid for it after a few years. Since used cars are cheaper than new ones, you can easily save up and pay cash. And compared to newer models, you can review Consumer Reports and buy a model that has been known to perform well. Though you won’t find a zero percent interest rate on a used car as compared to a newer model, the rates themselves are still pretty strong and can often be stretched into similarly lengthened 72 month or 84 month terms, depending on model year. Buying used cars also helps you to avoid some of the additional fees which are associated with new cars such as freight and extra taxes. For those who wish to enjoy the best of both worlds, combining the benefits of new and used, you can opt for a certified pre-owned (CPO) vehicle. Such cars are only a couple of years old, they have low mileage and come with manufacturer warranties. These can be purchased from new car dealers as well as used car dealers. DriveNation for example carries the majority of its vehicles in this range, which essentially is giving you free warranty added on. The major disadvantage of buying used cars is that it may not be as reliable as you may think, in other words, there are a lot of uncertainties when it comes to used cars. You do not know how the previous owner cared for the vehicle. Though you can get a good idea of this by viewing the FREE CARFAX vehicle history report. Another disadvantage of buying used cars is that sometimes you have to be open to compromise on some things such as color, in order to get the car with the right mileage and history. This means you may have to be a bit more patient and flexible in your search. An interesting spin to this though is that if there’s a specific vehicle type, make, model or year you’re looking for in a used car, some dealers such as DriveNation, will actually search that exact model out for you. A bit like having your own vehicle concierge. However, this can take some time to find a quality vehicle that matches your specifications, depending how detailed they are. Buying a new or used car is a decision most people will make sometime during their driving years. Whatever you decide, new or used, be very aware of the three-year time period for depreciation and do your research for positive reviews and reliability. If you are not car savvy, it is advisable you take a mechanic along with you, particularly when considering used cars. Or shop at a reputable used car dealer, like DriveNation, that places warranty and guarantees on their vehicles. At the end of the day, if you take this advice into account, you’ll come out ahead and enjoy your ride for years to come.